Combine your company business with one or more of our exciting animal-related experiences on offer. 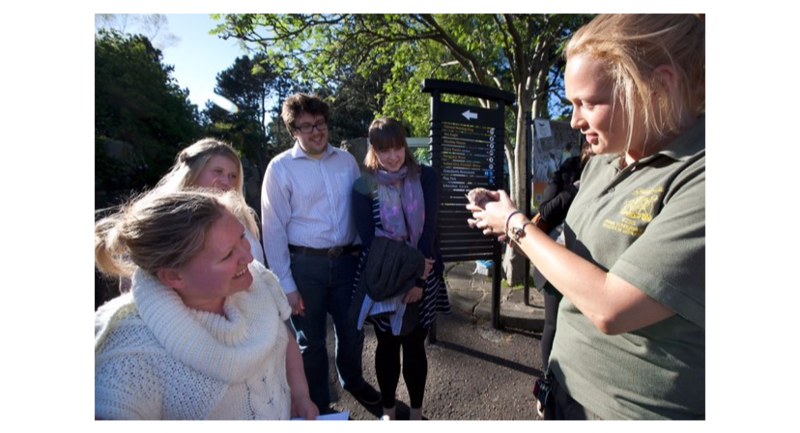 These include activities such as animal handling, a teambuilding zoo quiz or a drinks reception and animal talk at one of our animal enclosures. Who would forget a conference that included coming face to face with a tarantula, or a dinner that included a glass of Champagne at the Chimps? 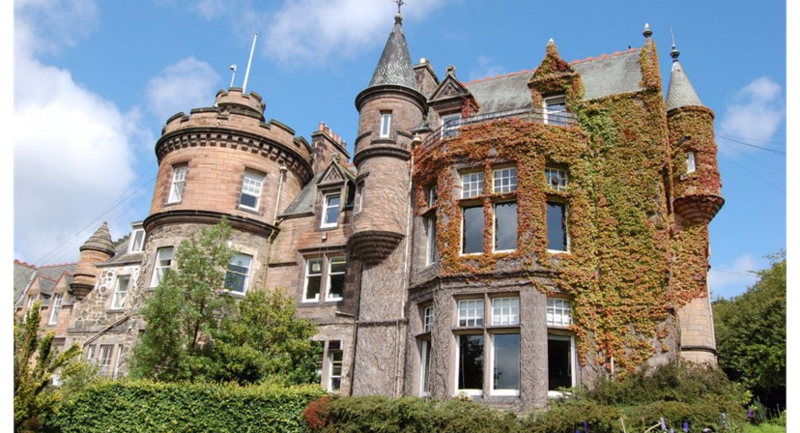 With over 80 acres to explore, Edinburgh Zoo is a place where the sights and sounds bring your senses alive. 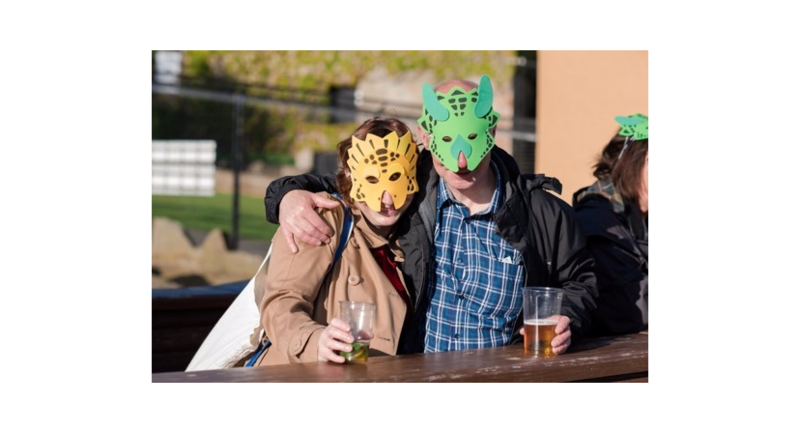 Set within stunning grounds and surrounded by an array of animals all make for a truly wonderful setting for any event from corporate family BBQs to Christmas parties. This certainly is one venue which you and your guests will never forget. 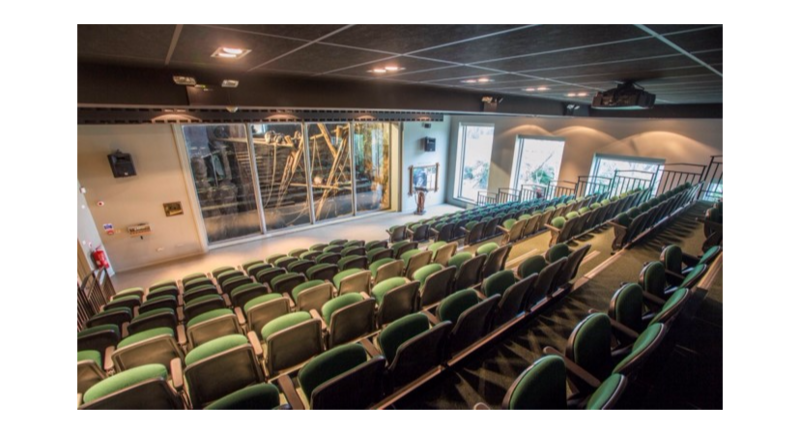 The room itself is fully air-conditioned with an integrated AV equipment that you are welcome to use free of charge. One wall looks straight into our most popular chimp enclosure and promises to be a talking point with your staff all year round. 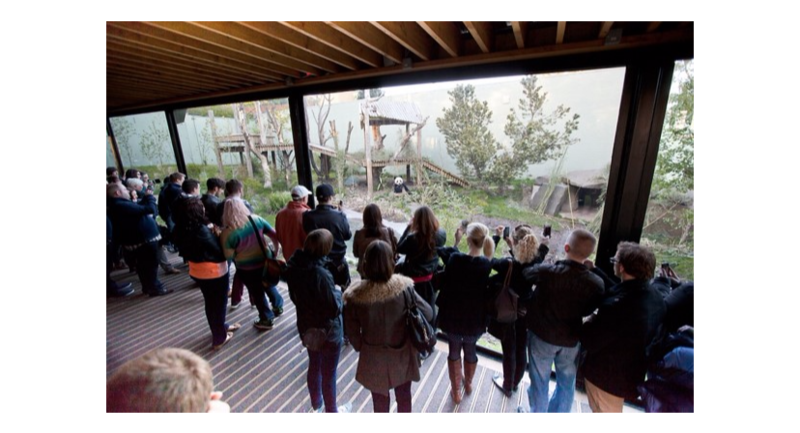 With a great view of the most popular chimp enclosure our Budungo Lecture Theatre can hold up to 170 delegates theatre style. If you require a PowerPoint presentation the room is perfect as it has a fully integrated AV system which you are welcome to use free of charge. 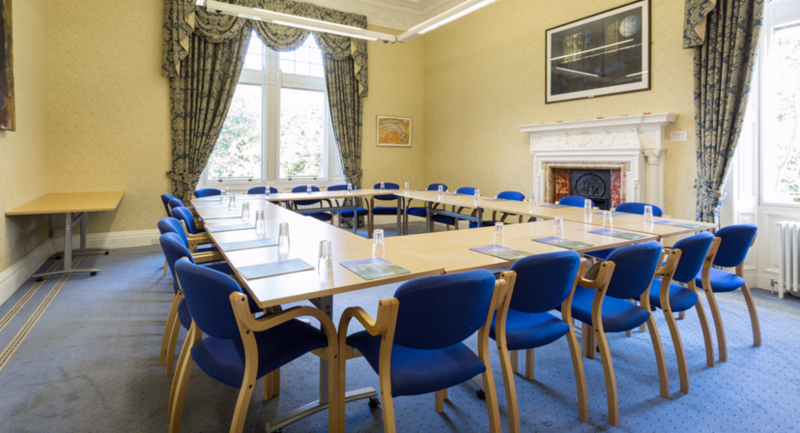 Located within a two minute walk from Mansion House our lecture theatre comes complete with complimentary use of a data projector, large white screen, PA system and lectern. It contains everything you need to make your event a success including a series of breakout rooms that can also be used as a workshop space. 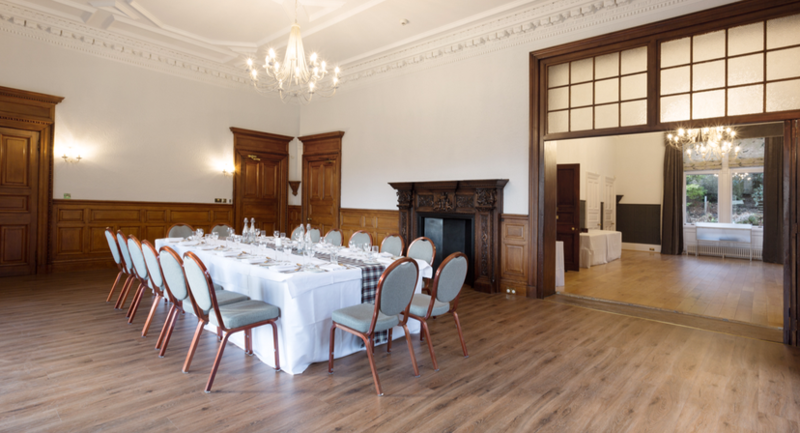 Our Geddes and Gillespie Rooms can be set up as two separate rooms or joined together to make one large L shaped function suite. The two rooms combine to become one magnificent oak panelled room with views across the park and access to our gardens. 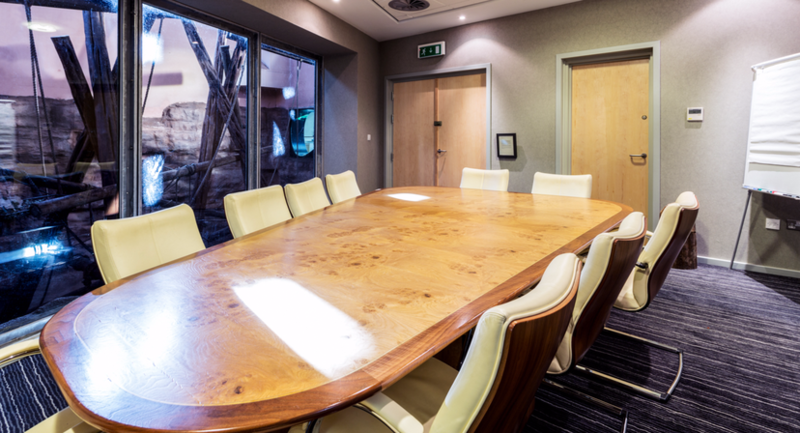 For large formal meetings you can have a work area on one side with a networking and lunch area on the other. However, if the meeting is more informal and you would like some evening entertainment then it is ideal for a work/dining area on one side with a dance floor and DJ or band on the other. 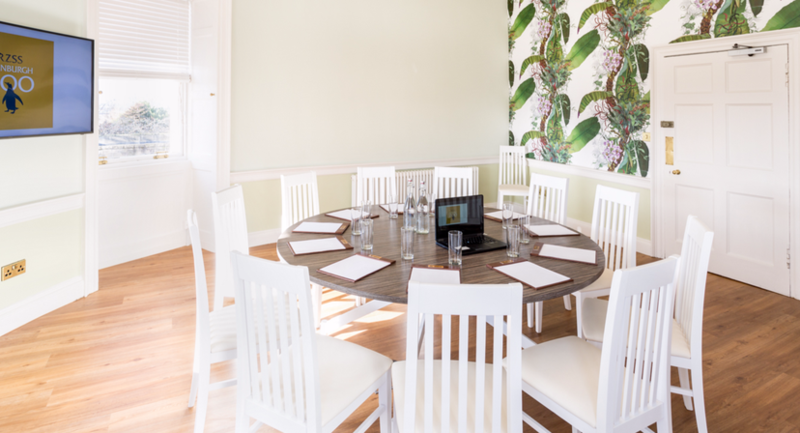 With a beautiful south facing view overlooking the gardens our Keith room is ideal for informal business meetings, working lunches, interviews or a small celebratory meal. Want to give your conference a touch of class? 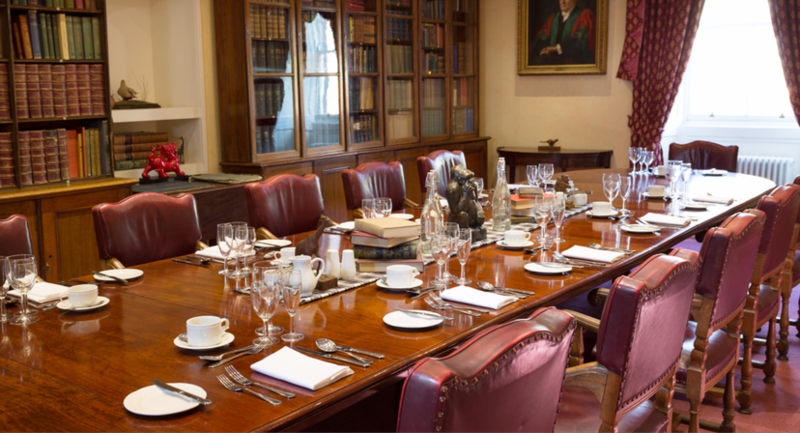 Our elegant library boardroom can seat up to 20 delegates in sumptuous leather chairs that they will sink straight into. The antique look of the room lends an elegant and luxurious atmosphere. 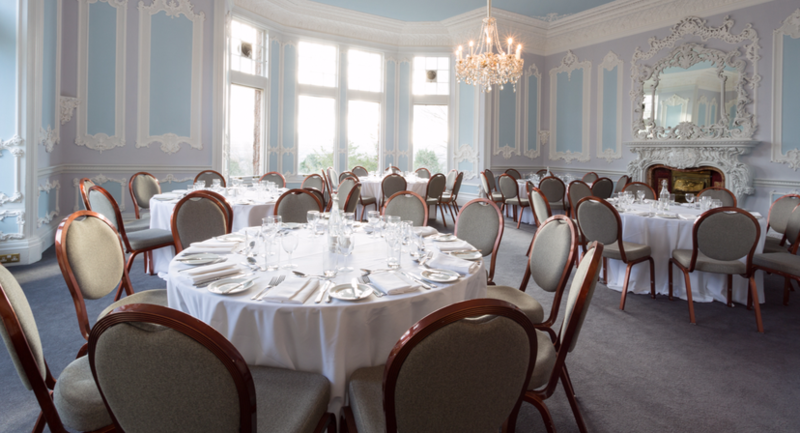 If you want a room that will not only impress your guests but give you breathtaking views across the Pentland Hills then our Macmillan Room is perfect. It is wonderfully light and airy, decorated in shades of Wedgwood blue and grey, with intricate decorative plasterwork and breathtaking open views right across the zoo. 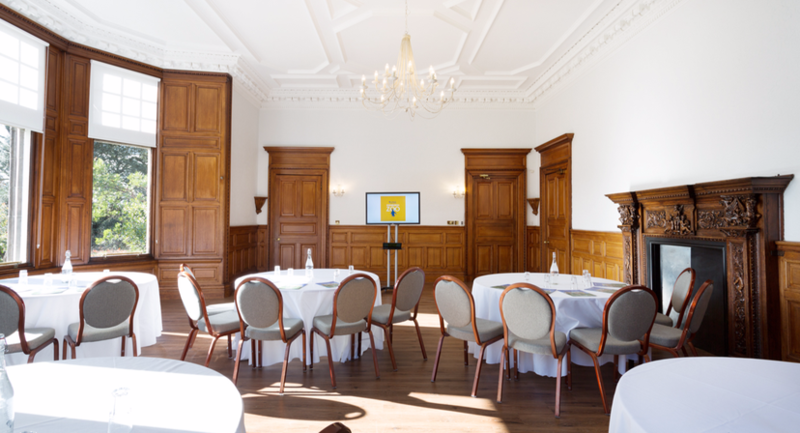 If you need your event to be professional yet relaxed then our Salvesen Room would be ideal. It is an impeccably decorated room with a gorgeous antique fireplace as the centrepiece. It is fully equipped with a flipchart, whiteboard and screen and can be set up with a data projector and lectern as required.